Hello and happy Friday to you all! I'm in my final month before baby gets here in April! How crazy is that?! It just seemed so far away and now all of a sudden I feel as if I'm scrambling around trying to get everything together, hospital bags somewhat packed ( I know I plan early ha ) and more! Regardless, I also know I need to take some time to myself too to recharge and relax a little bit. Anyways I wanted to share some of my favorites with you all this week. For those of you who are new, I love sharing a few things I'm enjoying this week and of course, always want to hear from you in the comments of what you're loving too! Feel free to play along! 1. Prenatal Massage - You might find this comical but 3 1/2 years ago my husband bought me a prenatal massage when I was pregnant with Lily and also for a post one. I actually never got my other massage until now with our second. Call me crazy I know but you can bet this 7 month pregnant lady is super excited for this massage coming up! 2. 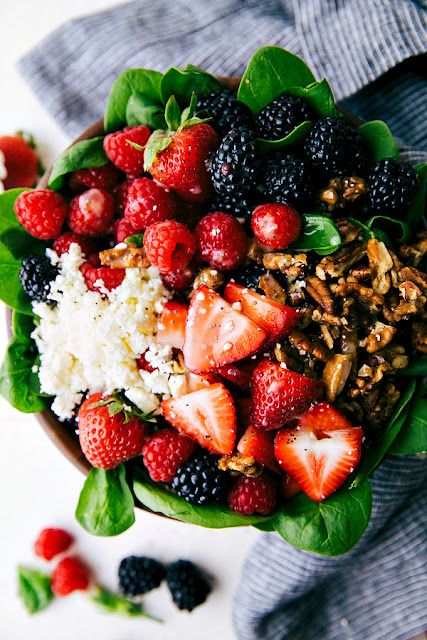 Salads - Since measuring a month ahead with our son, I've been needing to cut back on my carb intake so instead of eating a bagel in the morning and a sandwich at lunch, I've opted for 2 hard boiled eggs and a yogurt and easy delicious berry spinach salads for lunch! This one is my new favorite and takes me only minutes to make and go! 3. Me Time - I was out shopping the other day and was needing some special 'me things' which included these awesome face wipes, blackhead strips and of course delicious Oreo Big Crunch Bar chocolate! This new version was a huge winner! 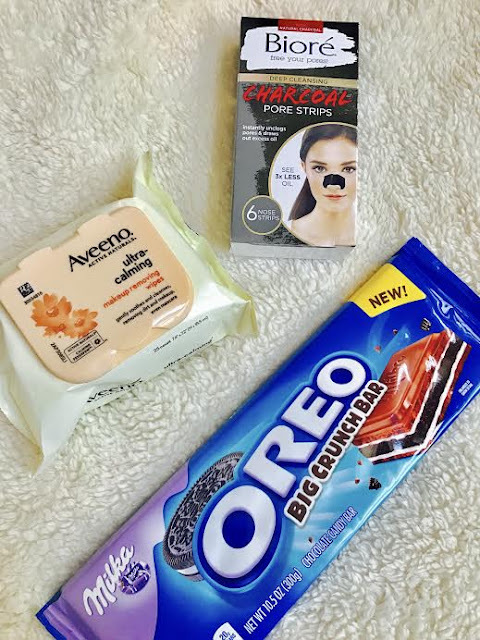 Have you guys tried any of these products? 4. Lara Bars- How awesome are these little beauties?! I mean... 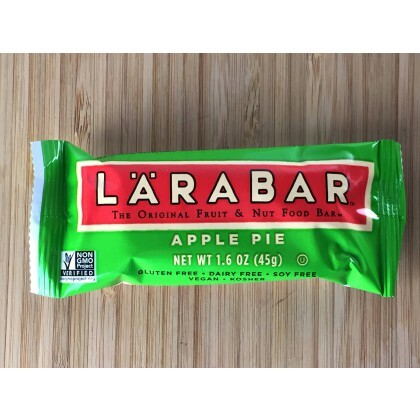 I just face dive into an entire pile of them because they are so good- especially the Apple Pie! I can't get enough! They are the perfect snack for me while I'm sitting in traffic or needing some fuel after chasing my toddler up and down the stairs. Remind me why I'm doing that again? 5. 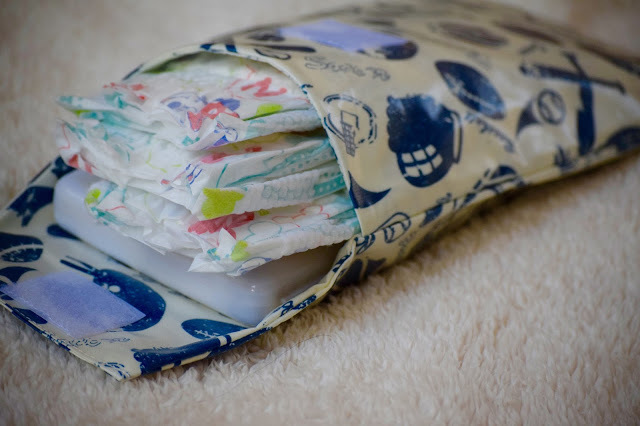 Diapees and Wipees - I shared yesterday how much I adore this bag from Diappes and Wipees! It holds up to 2-4 diapers PLUS a traveling wipes case! Not only that but I think it's best feature is that it's water proof so even if a bottle gets spilled on it, it won't leak through and ruin the diapers! Where was this a few years ago when I had my daughter! You can bet I'm using it all the time when our son arrives in a few months! BEST PART - YOU CAN WIN ONE TOO! Head over to my Instagram for more details! Giveaway ends tonight! EEEK!! The last month is so exciting! Congrats & good luck! Ooh I haven't tried the apple pie flavor yet! I need to!